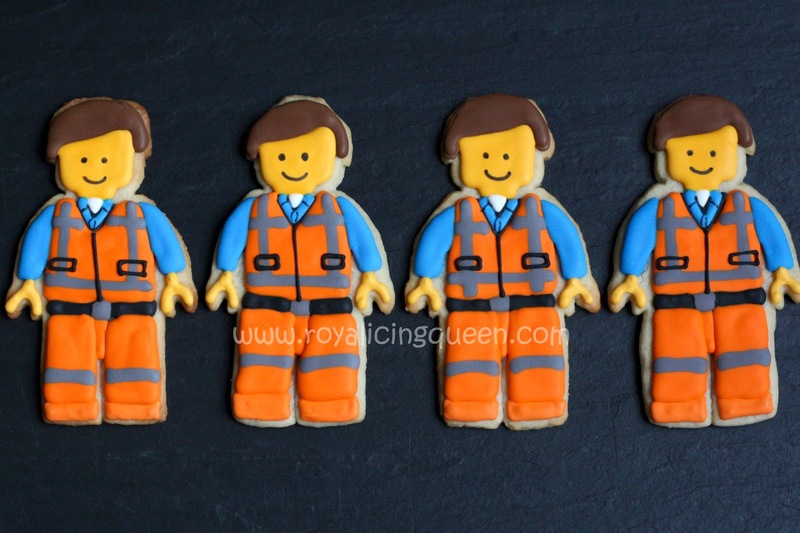 I had a Lego minifigure cookie cutter, but I wanted to make Emmet from the Lego movie and my cutter didn't have any hair. (It had the look of a hairless lego head.) When I was cutting out the cookies from the dough, I added the hair by cutting out additional pieces of dough and attaching them to the head. It made for some additional work, but this did what I needed. I piped the grey suspenders on top of the orange icing while it was still wet to make it look like they were painted on. I mostly piped on all the details with royal icing but I used a food dye marker for the details around his blue shirt and to draw on his face. Love these cookies! Having a Lego Movie birthday party for my son's 5th birthday. These are excellent! I just need to find a mini figure cookie cutter.